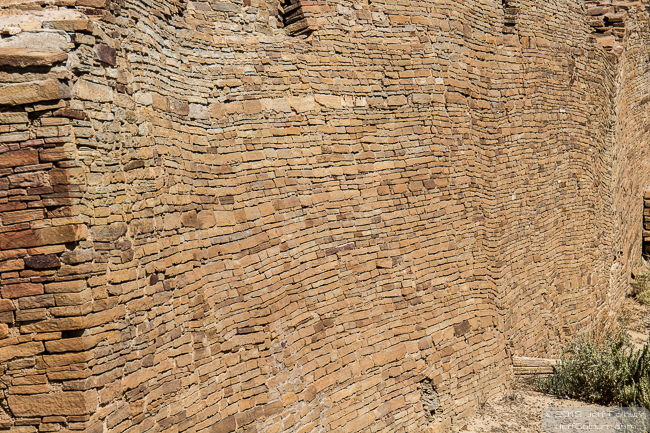 This rock wall is part of the Chetro Ketl Pueblo at Chaco Canyon, New Mexico. It’s about 12 feet (3.6 meters) tall and 3 feet (.9 meters) thick. At every pueblo I visited, I was constantly amazed at how many tons of rock the Native Americans carried, by hand, to create their homes. It was a Herculean effort that should not be underestimated.